As I sit here reflecting back upon Thanksgiving Day many different thoughts race through my mind. What a time was had being together with family and friends enjoying the stories filled with much laughter. Also the sound of the football games played throughout the afternoon and evening. Regardless of who one there was much cheering and jeering of teams and one another. 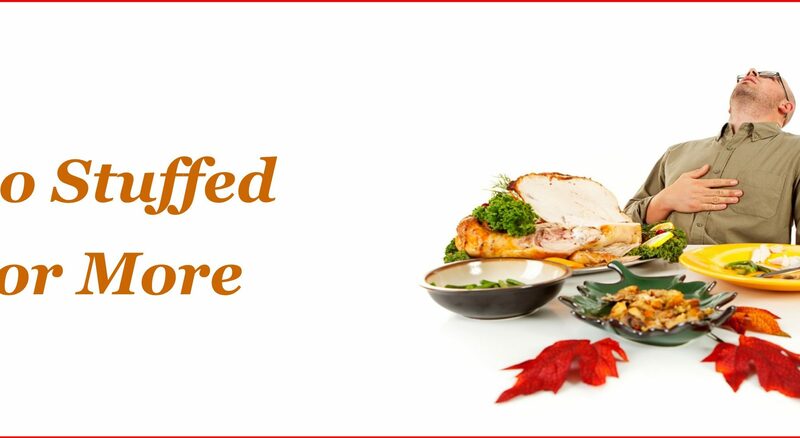 I suppose though that aside from all of those things the most anticipated was the turkey and dressing with all the fixin’s for the Thanksgiving Day Meal. Once the blessing of thanks was offered to the Lord everyone took their plate and filled them with all the bounty set before them. Some piled them high while others had slightly less moderate proportions of food. One this was sure each was stuffed to satisfaction and much more. Many waited later to enjoy the sweet and plenteous desserts. One thing observed was the ones who were so stuffed that they just couldn’t eat another bite. Many times God’s people react the same way. They come to church and enjoy such a heavenly outpouring of the Lord’s presence through both the singing and preaching that they get so stuffed spiritually they just can’t show up to feast from Heaven’s table the next time it is offered. Just as a person must continue to eat to maintain their strength and growth physically also each of us need to get back to church to for the same spiritually. God has so instructed us to keep going back for more yet many don’t see the need to do so. When we feel that we are strong enough spiritually and growing in the Lord let’s not stay away but keep going back to God’s table. Our faithfulness to God’s house will encourage the faith of others, strengthen our fellowship with others, and demonstrate that we follow the Lord. Remember the command of the Lord to His people in the book of Hebrews. Hebrews 10:25 “ Not forsaking the assembling of ourselves together, as the manner of some is; but exhorting one another: and so much the more, as ye see the day approaching.” Hey let’s encourage someone’s faith this week. See you at church. As I sit here early on this Thanksgiving Day 2018, I’m reminded of Psalm 107:1-8. These verses say much about why we live. The Psalmist David begins with our Worship when he said, “O give thanks unto the LORD, for he is good: for his mercy endureth for ever.” Our worship is not dependent upon who we are but rather upon who the LORD is. David proclaims that the LORD, for he is good is why we worship. Four times in this chapter David declares, “Oh that men would praise the LORD for his goodness. . .” It is because of His goodness comes mercy that edureth for ever. What is mercy you ask? Mercy is God not giving us what we deserve such as eternal death in Hell for ever because of our sin. Second, David continues with our Words. He said, ” Let the redeemed of the LORD say so . . .”. Who are the redeemed you ask? Well the redeemed are those who have trusted God’s payment for their sin through His Son, Jesus Christ, on the cross. Instead of me dying for my sin on the cross of sinful shame, Jesus Christ became my substitute and died on the cross in my place. David challenges us to speak up and let the whole world know again and again. Why? Well the last part of verse two tells us why. He says, “whom he hath redeemed from the hand of the enemy”. Who is our enemy? It is Satan himself who is our enemy. He wants you and I to pay for our own sin yet when we trust Jesus Christ as our Saviour He then pulls us out of the clutches of Satan’s grasp upon our soul and He sets us free. To God be the glory, great things He hath done. From verse three down to verse seven, David describes where God redeemed us. He redeemed from every land, from our wandering from city to city only to find there was no answer for their soul, from our weariness because of being hungry and thirsty and we were fainting or giving up hope for our soul. Then in the midst of our trouble we cried unto the Lord and he delivered us to a wonderful life, gave a new direction which leads to a new destination. David concludes verse eight with the words, “for his wonderful works to the children of men”. 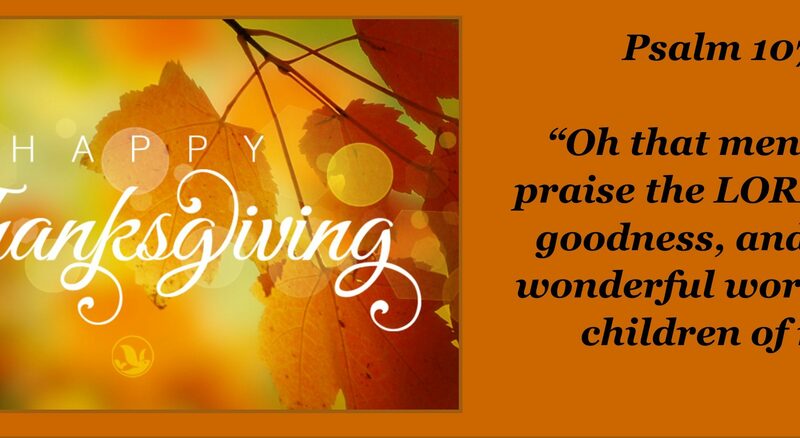 We are to give thanks not only to the LORD in worship but also to his wonderful works to the children of men. We should give thanks for a Faithful Legacy left to us by great men of the past like a John R. Rice, Lee Roberson, Monroe Parker, Bob Jones, Sr., Jack Hyles and many more who have given a great heritage for us to continue building upon. Also, for Faithful Families, like my parents and my wife’s parents who taught us the things of God and gave us a home that we could build our homes upon. Both of our parents are celebrating 65 years of marriage by Christmas. That is a sure foundation upon which to pattern our homes. While we live in a day when it has become easy to walk away from a commitment to each other in marriage and the world of acceptance deviates from a Biblical Family. We must go on in obedience to God’s Word regardless if it is politically correct, socially accepted but rather because it is Biblically Correct. I can honestly say I would not be where I am today were it not for a faithful wife, four wonderful children, two daughters in law, a son in law (all of whom are our children now also) and 6 precious grandchildren. I am so blessed that I think I’ll just give God thanks for his wonderful works to me. Also, for Faithful Leaders in the faith. I have had the privilege to serve with some wonderful men throughout my ministry. Two of these men I call my Pastor. Thanks to God for Carl Braswell and Dan Reed. They have both guided my spiritual walk with love and correction in more ways than I have space to write. They have been faithful to the Truth of Scripture, in the midst of Trials and Storms, yet they are mere men who have had the greatest of influence in my life. Finally, for Faithful Followers of me as I am a follower of Christ. They have proven to be true in allowing the preaching of God’s Word to work in their lives. Their faithfulness in attendance, in obedience, in stedfastness through the storms that come our way. They bring to mind what John the Apostle said, “I have no greater joy than my children walk in truth”. Therefore, with David I say, “Oh that men would praise the LORD for his goodness, and for his wonderful works to the children of men”. Let’s just praise the Lord today!! In 1993, Jack Canfield and Mark Victor Hansen, two inspirational and motivational speakers, collaborated on writing their first book from the many stories from their audience members. This book has gained in popularity and is now grown into many more books. The first book was titled, “Chicken Soup for the Soul”. Maybe you have seen these in bookstores or others places where inspirational books are sold. While these are helpful to many in areas of motivational need, there is another book, The Bible, which helps in the area of eternal need. Thus the thought from God’s Word on “Confession – Good For The Soul”. In our society today it is commonplace for people to never admit guilt of anything therefore, no need for confession. To confess is to admit a wrong, to acknowledge our sin, to be in agreement with God about our sin. There must be Confession for Conversion which is our new birth into God’s family as is given in our first verse, Romans 10:9. Then after salvation there is also Confession for Cleansing which after birth becomes a daily need. Every one that is saved must be clean to be in fellowship with God as taught in First John Chapter 1. What does confession do in the life of a believer? First, confession Reveals Character. In our day there is a great lack of character found in people. John said, “If we confess”. The emphasis is on us as believers. Billy Sunday said, “Your reputation is what people say about you. Your character is what God and your wife know about you.” Oh that we would see character in the lives of God’s people. Third, confession Restores Communication. When the believer sins against God it breaks the fellowship that we have with our Savior. That fellowship is based upon our communing with Him and He with us. Sin causes us to not be on speaking grounds with the Lord. The only way to restore that communication is to confess (agree with God) our sin and ask for forgiveness with a promise never to do it again. The Lord then cleanses our soul and it opens the line of communing with Him. When our phone service is disrupted we are need of a service person to fix the problem and restore the service. God has given us the Holy Spirit to be our service person to diagnose our problem, reveal our problem and to remedy our problem. Our problem is between us and God the Father. Confession is really good for the soul of every believer. We are not perfect just forgiven. Lord, please use thy Word and the Holy Spirit in my life to reveal when there is sin in the camp. Then help me to confess that sin so I can be cleansed and live in sweet communication with Thee. James is writing to fellow believers in Christ concerning many various and differing tests or trials of our faith. Each test is different from the other yet they all have a single purpose – to prove our faith is a consistent daily living faith. .As we consider these verses we find first Our Response to the tests. James said to, “count it all joy”. Here he is writing a word of expectation and encouragement. You say how can you have joy when entering a testing zone. Your testing zone may be as a student when you have tests on the subjects you are studying. It may be in the workplace when a boss requires you to do things that don’t fall necessarily under you job description. It may be like mine in the physical health realm. Forty years ago I was diagnosed with Crohn’s Disease which for the next twenty years led to four major operations the last of which left me without a colon and having to use other means. Two years ago I was diagnosed with a fatty liver disease which was caused by the stress and trauma of Crohn’s. Now I’m waiting for a liver transplant. How can this be since I’ve never drunk alcohol or smoked a day in my life. Yet, through all of this God has taken these tests and opened doors to speak with people, some I know and some I have never met personally, about the goodness of the Lord and His faithfulness. Because of Him I’ve been able to be joyful as it opens new horizons to grow and share my faith. Second, we see Our Reminder for the tests. In verse four James begins with these words, “Knowing this”. As you read and study God’s Word, the Bible, you will find that we are taught to be prepared for these tests because they will come. The Apostle Paul penned some words of instruction in Romans 5:3,4. Here instead of the word temptations you have the word tribulation which speaks of applied pressure. This reminds me of how an irritation in an oyster produces a pearl. God is wanting to produce something special in us for His glory. He desires that we be conformed to the image of His dear Son, Jesus Christ. How do you handle it when your Faith is Under Fire? Morning Inspirations is the personal blog of Pastor Gary Ledford. 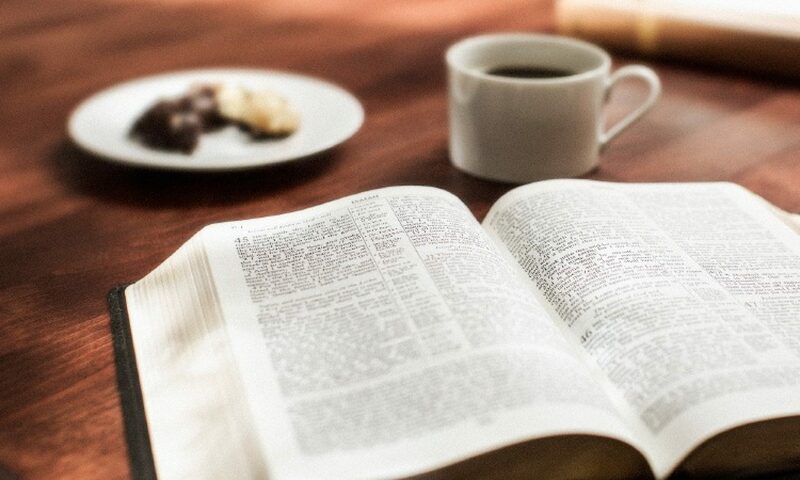 Having been a pastor for over 20 years, I have come to believe and encourage believers to begin each day early enough to spend time feeding from God’s Word. As has been said, 7 days without God’s Word makes one WEAK. It never starts as a full week but begins with just one day to start a pattern that leads to one week. My prayer is that this blog will enable you to have a daily time that is refreshing, rewarding and strengthening your walk with Christ.